Home » Casino » Why Do Some Slots Have Maximum Payout Caps? Why Do Some Slots Have Maximum Payout Caps? You should always spend some time looking over the pay tables and often the attached help files when you are playing slot machines in any playing environment, for by doing so you are going to find out just what you stand to win from any slot games base game or bonus feature games too. One thing you are going to notice however if you choose to play any of the range of Real Time Gaming slot machines is that many of them have a built in maximum payout caps and as such when playing them there is a limit in regards to how much you can win from the base game or via those slot games bonus games too. 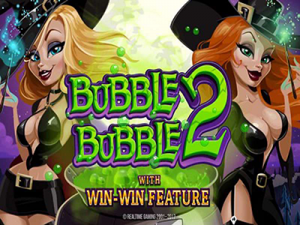 When you set about playing at for example a Real Time Gaming software powered casino site, you will often find many of the video slot games on offer at those sites do have a maximum payout cap limit in place on their range of slots. The payout cap is usually 50,000 times the amount you wagered on each single pay line, and as such if for example you are playing for 0.01 per spin then the maximum amount you could win from any spin apart from any attached progressive jackpot or jackpots is 500.00. The reason for that limit in regards to how much you can win is that some of those slot games have for example free spins bonus game on which the bonus free spins can be re-triggered, and an unlimited number of times too. As such that payout cap is simply in place to limit the amount of cash a player could win if the bonus game triggering symbols keep on spinning in during the bonus game and keep n re-triggering the bonus game too. The maximum payout cap doesn’t really have any real effect on the long term expected payout percentage on any slot that does have one in place, and as such there is no compromise to be made when playing such a slot. Be aware though that it is not only Real Time Gaming designed and supplied online and mobile slot games that do have some form of maximum payout cap in place via their base games or bonus games. If you are playing at for example at any Microgaming software powered online casino site, then by taking a look at the pay tables of those slot games you will often find the maximum amount of cash you can win from any bonus game that has been triggered. However, if you would prefer to play a slot machine that has no limits in place in regards to what they can pay out, then you will always be best advised to get stuck into playing progressive jackpot awarding slot game, for when playing some of those slot games the jackpots can and do grow so large that if you did actually in one of them you could be instantly tuned into a millionaire, or a multi millionaire!